Immerse yourself and your loved ones in the heart of ancestral tradition with the soul-stirring sounds of the choice instrument of the highlands. Like echoes in history, the pipes have moved its audiences generation through generation. Brad Beaton has been captivating crowds with bagpipe music for over forty years across the Southern United States, and founded 2 pipe bands that are still thriving. 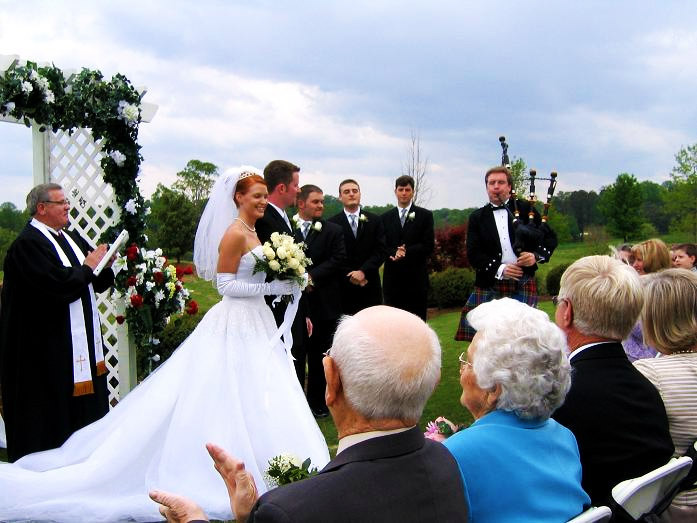 Give your event the right touch it needs, whether it be a joyous wedding, a boisterous family reuinion, a proud celebration, or a reverent funeral. Want to add more of an ancestral touch to your special occasion?